Since it began, Facebook has maintained the lead among social media channels with more than 1.23 billion daily active users. 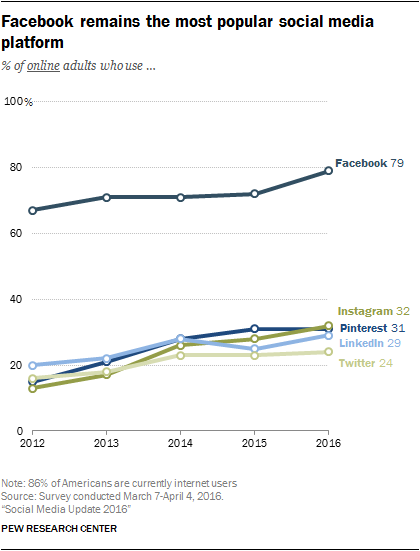 According to a recent study by the Pew Research Center, as many as 79% of online adults use Facebook – two to three times more than any other social media channel. Advertising on Facebook provides an unprecedented opportunity for you to attract and cultivate relationships online with prospective and existing plastic surgery patients. The potency of Facebook advertising lies in the ability to narrow the audience of each ad by demographic, geographic, and behavioral criteria. Our experience with plastic surgery practices has shown that carefully planned and executed Facebook advertising campaigns are extremely effective. Facebook runs its ad program by targeted them based on users’ interests and demographics, and because only a certain number of ads are run in a user’s newsfeed at any particular time – and many of your plastic surgery competitors want to show up there – Facebook runs an auction system. Which means if your competitors are willing and able to spend more money than you to reach people with a certain interest or in a certain demographic, your competitors will have their ads show up more than yours will. The good news is that if you’re looking only to market your plastic surgery practice to people in a particular city, region or county, you won’t need as big a budget compared to if you wanted (for example) statewide exposure. Facebook also runs its ad campaigns on a pay-per-impression basis. This means you will be charged something every time your ad appears on someone’s newsfeed, regardless of if they respond to it or not. So making sure you create an ad that will truly catch your target audience’s attention so that viewers click on it and also possibly share it with friends is critical. It’s also important to remember that you will be paying for the ad whether someone responds to it or not, so craft a good one! You also will want to determine how valuable your Facebook ad campaign is to your plastic surgery marketing budget. This is known as cost-per-action (CPA). To ascertain your CPA, you compare the value of the action someone took (clicking on your ad, downloading a free report offered via the ad, calling for a free consultation, etc.) to how much it cost you to get someone to take that action. What Can You Achieve with Facebook Ads? Facebook is an effective tool for all stages of the sales cycle: awareness, consideration, and conversion. Let’s look at a few examples. Awareness – Reaching out to prospective clients to expand your audience is one of the most powerful ways to use Facebook advertising. You can use the characteristics of your existing patients and Facebook fans to create lookalike audiences that closely match your ideal patients. Consideration – Capture the interest of Facebook users who are considering plastic surgery by placing ads that promote compelling informative and entertaining resources that address frequently asked questions and common concerns. Conversion – Once prospects have become aware of your practice, Facebook advertising can help you convert them to qualified leads by presenting special offers that lead to taking the next step in your conversion path. 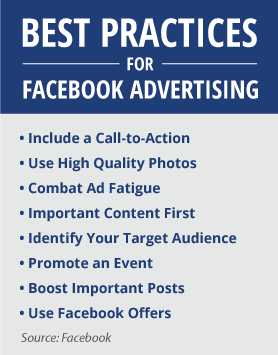 What Makes for a Great Facebook Ad? Visual – If the imagery in your ad doesn’t capture users’ attention, it won’t get the job done, no matter how fantastic your offer is. You need a professional design team, preferably with experience helping plastic surgery firms, to help you create compelling ads that stop Facebook users in their tracks. Relevant – Your ads must be relevant to your audience. Facebook enables you to specify preferences for more than 30 characteristics of your audience. And, you can create a unique audience for every ad if you want to. This is especially helpful for plastic surgery practices because each procedure may have a different target audience. Enticing Value Proposition – You only have 90 characters of ad text to motivate Facebook users to jump in the deep end. People who log on to Facebook may not be expecting to see advertisements. Your value proposition needs to be strong enough to capture their attention and motivate them to act. Clear Call-to-Action – What are you trying to accomplish? Whether you are targeting users at the beginning, middle, or end of their decision-making process, you need to clearly spell out what you would like them to do when they see your ad. How Can I Maximize My ROI? Target your Ads – The most effective advertising is tailored to the needs and desires of a very specific audience. When the design, tone, and language of an ad speaks directly to its intended audience, it can achieve remarkable results. Sculpt your Audience – To design a great ad, you need to know who you are speaking to. Creating multiple audiences paves the way for your creative team to develop highly-effective ads that are tailored to the interests and pain points of each audience. Expand your Reach – By analyzing the responses of various ads and audiences, a digital marketing agency can help you define criteria of lookalike audiences, extending your ads to users who are similar to those in your existing network. Develop your Strategy – What is it about your plastic surgery practice that makes is a better choice than then others? What do you hope to achieve with your marketing plan this year? An experienced agency will help you identify and overcome your challenges. Implement your Plan – The best plan has no value without proper execution. 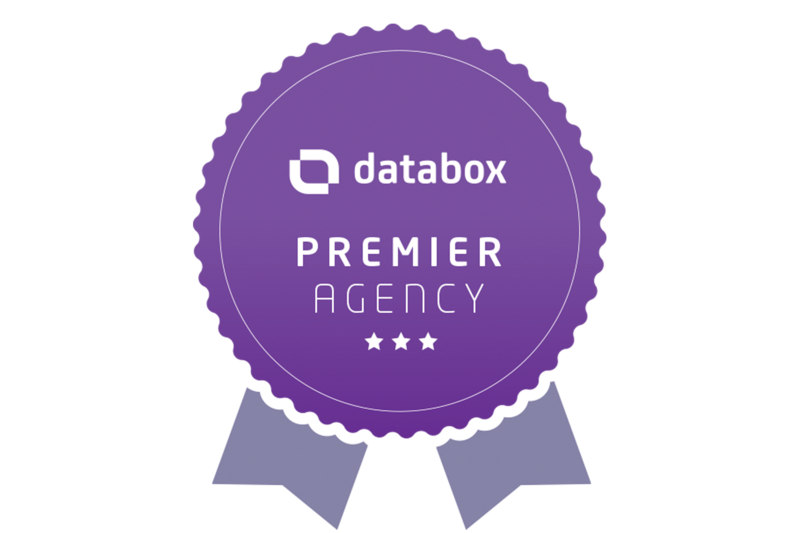 When choosing a digital marketing agency partner, experience and expertise is key. Working with an agency that has successfully helped other plastic surgeons achieve success with Facebook advertising would be ideal. Manage your Campaigns – To get the best results from marketing, you cannot just stick to the plan. You need to monitor responses, test your hunches, analyze results, and fine-tune your campaign implementations with what you learn. The greatest benefit of advertising on Facebook is the ability to define your audience. What criteria will you use to define your audience? Generation – Each era has a unique perspective on life. Why not speak the language of a specific generation in highly-targeted ads. Age – Designate the minimum and maximum age of users who will be able to view your ad. Gender – You can choose to show your ad only to women, only to men, or both men and women. Relationships – Looking for a specific relationship status? Facebook enables you to select your audience members’ preferences and a dozen status options. Parents – Would you prefer only to speak to parents of young children? Or mothers who are fit and trim? Facebook Ads can help you hit the mark. Ethnicity – Will a treatment you offer be more beneficial to a certain ethnic affiliation? Facebook’s got you covered. Home – What are the living conditions of your ideal patient? You can choose the type of home, ownership status, and household composition of your audience. Location – Specify the geographic boundaries of your audience by current, recent, or planned travel locations from a pinpoint on the map to one or more countries across the globe. Language – Are you in a market where foreign language proficiency is a plus? Add it to your criteria to hone in on a specific group. Education – Not just your standard BS, MS, or PhD options here. Facebook enables you to drill down to specific majors, universities, and years of attendance when pinpointing your ideal patients. Employment – Are you targeting a certain industry, position, employer, or workplace? With Facebook advertising, you can specify any of these elements when defining your audience. Financial – Be sure that the people that see your ads can afford your services with net worth and total income minimum and maximum designations. Life Events – Becoming a parent changes the way you see the world, and so does many other life-changing events. Choose from more than 10 choices to narrow your audience. Business and Industry – Choose one or more of 20 industries that interest your audience members. Technology – Tied to a screen? Who wouldn’t be included here? Entertainment – Which media type is preferred by your ideal patient? Food and Drink – Cold beer or fine dining, which cuisine would your audience prefer? Fitness and Wellness – Zumba, meditation, or general nutrition – which activities are likely to appeal to your ideal patients. Sports and Outdoors – Take a hike or watch a game. How many of your target audiences would be included here? Hobbies and Activities – We all like to have fun. Are you looking for world travelers, pet parents, or something else? Shopping and Fashion – Bargain hunting, toys, and beauty supplies are just a few of these options. Family and Relationships – Which type of relationships does your audience find most important? Mobile Device User – Select the mobile brand and device type of choice for your target audience. Purchase Behavior – What types of products match the interests and purchase histories of your ideal clients? Media – Which media format is preferred? Business-to-Business – Choose from industry, size, and more. Job Role – Farmer Brown or CEO Joe? Financial – How does your ideal patient like to do business? Seasonal and Events – Which sport is dominating the air waves and capturing the attention of your target audience? Travel – Are you looking for folks headed to a casino or strictly business travelers? Facebook provides more than a dozen options to choose from. Expats – Looking for an explorer? Residential Profiles – Just settling in or ready for a new adventure? Choose the best option for engagement. Charitable Donations – Which causes does your audience identify with most? Automotive – How does your ideal patient get around? Chose the relationship your audience member have to your Facebook Page, app, or are attending your event. Facebook provides a friendly social atmosphere that makes engagement natural. The ability to sculpt audiences with fine detail can make advertising for your practice, specific procedures, and special events extremely effective. And, because you can monitor your results in real time, you can make adjustments that will take effect immediately, improving your ROI. If you have not tried using Facebook advertising to promote your plastic surgery practice, you are missing out on an unprecedented opportunity. An experienced inbound marketing agency may be able to help you reassess your digital marketing program and recommend strategies that will generate more leads and improve your results. ClearPivot is experienced in Facebook ads in general, and also within the plastic surgery vertical. 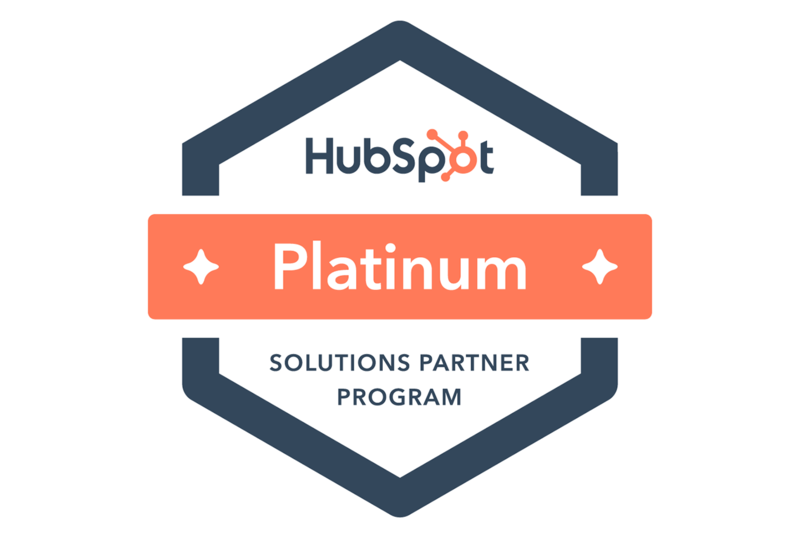 We also are a HubSpot Certified Agency Partner, using HubSpot’s inbound software platform and social media marketing and advertising tools. If you would like to increase awareness, generate leads, measure results, and produce repeat and referral business, contact us today.